LBD & ONESIES - A Lifestyle Blog: Romwe's Pretty Things Sale! Romwe recently expanded their product offerings and offer to us affordable makeups and accessories. I even got make up brushes from them which are amazingly soft and nice to use. Makeup things come again! 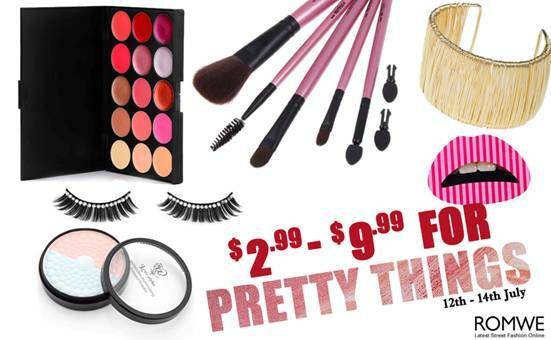 If you like Eye Shadow Palette, Makeup Brushes, etc., better check out Romwe's Pretty Things Sale!